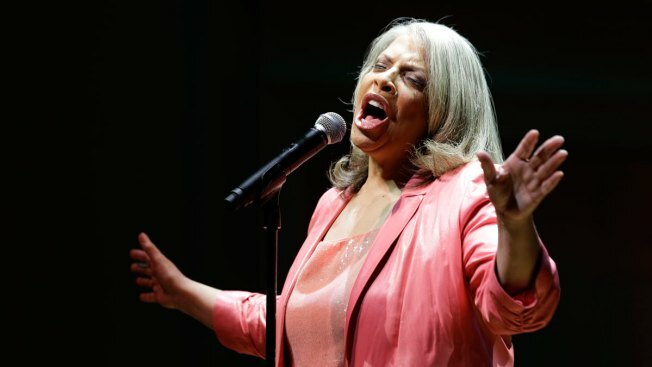 Patti Austin (pictured in 2013 file photo) is set to perform at the Capital Jazz Fest this Saturday. Close to 30 national jazz acts will dazzle on two stages at the Capital Jazz Fest all this weekend, June 5-7. Artists ranging from up-and-comers to top stars will converge at the Merriweather Post Pavilion (10475 Little Patuxent Parkway, Columbia), hosted by Eric Roberson. Tickets are already sold out online for Saturday and Sunday, but they're still available for Friday, when the Friday Night Soul concert kicks off the weekend, showcasing Maze with Frankie Beverly and India.Arie. Tickets are available online here ($56-$105). You can also browse arts and crafts at the Festival Marketplace as you mingle with crowds of music lovers. Staying out late? The Late Night Soul Showcase at the Marriott BWI Airport Hotel (1743 W. Nursery Road, Lithicum, Maryland) on Friday will feature Liv Warfield and Brandon Williams & Friends. This event takes place after the main festival, from 7:30 to 11 p.m. Tickets are $22.50 in advance and $30 at the door.